With Christmas fast approaching the team at Jargon has been preparing for the onslaught ahead. December brings with it Christmas parties, dinners, and general eating and drinking, and we all want to get in shape for it. So when our wonderful client and charity of choice, The Childhood Trust asked if we wanted to join them and festively raise money we jumped at the chance. 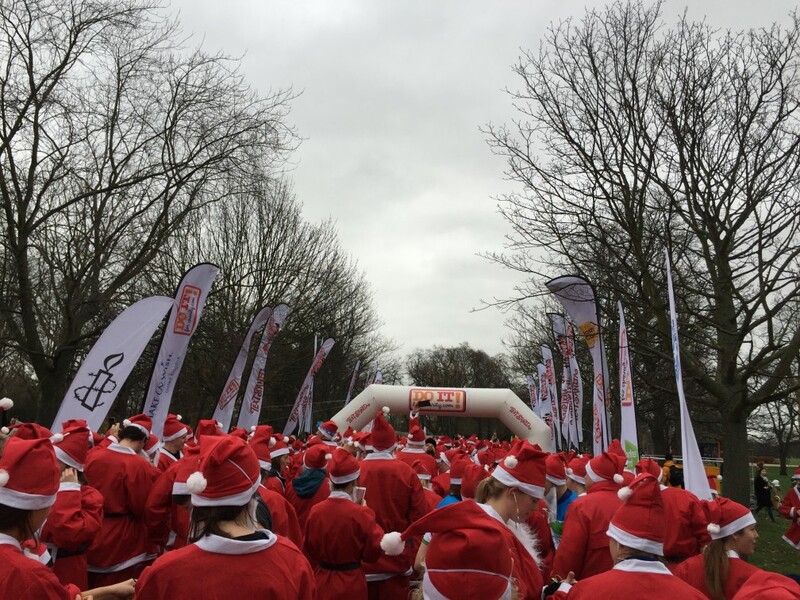 On 6th December, team Jargon will be donning big red santa suits and running a mammoth 5 kilometers to raise money for a great cause. Training has officially begun; Tom ran for the bus yesterday, Kevin has got hold of some trainers, Lily has been to analyse the course (gradient and all), Sam has started drinking smoothies (because apparently these are good for running), and Kerry has downloaded a running app. Things are officially getting serious. We’d be grateful for any support you can offer, either by donation via our fundraising page, or by sharing it on your social media channels. Please find the link below. On request we’ll also happily send you regular training updates like the above. Poverty affects the health, education and life opportunities of considerable numbers of children. But poverty is about more than income; it is about a lack of stability and opportunity. The Childhood Trust helps to alleviate these issues by supporting community organisations and grassroots charities based in London, with the aim to give children affected by poverty a better chance at a brighter future.